Lon Helton has been host of Country Countdown USA since its inception in 1992. He is Publisher of Country Aircheck, an industry trade magazine. 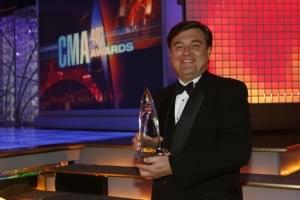 He is also Editor of the Mediabase Country Chart, which is used in this show. Lon’s country radio career began in 1971. He spent 12 years as both personality and programmer in Los Angeles, Chicago, and Denver. He was Country Editor of Radio & Records for 23 years before founding Country Aircheck. Lon is a member of the Board of Directors of the Country Music Association, St. Jude Children’s Hospital, and the Country Music Hall of Fame. Lon was named CMA National Personality of the Year in 2002, 2004, 2006, 2008, 2010, 2012, 2014, and 2016. In 2009, 2012 and 2014, he won that honor from the Academy of Country Music. Lon was inducted into the Country Radio DJ Hall of Fame in 2006. He’s hosted numerous radio specials, and is country radio’s best known star interviewer.